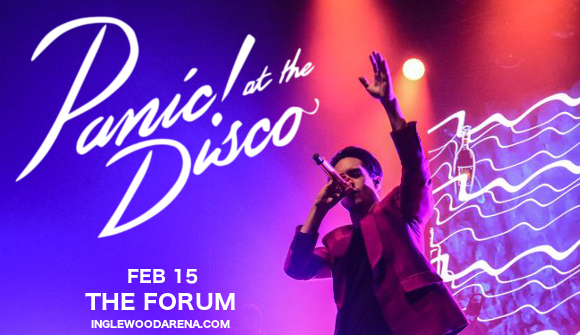 It’s a dream come true for any fans of Panic! At The Disco!! Your favorite pop-punk band are back in 2019 with an all-new tour in support of their exciting new album “Pray For The Wicked,” and they’re taking Zachary William "Bill" Dess – otherwise known as Two Feet – along with them for the ride! It’s going to be a showstopping performance at The Forum on Friday 15th February 2019 – be there!! Hit the “Buy Tickets,” button and grab your place at Panic! At The Disco’s live show with Two Feet today!! With their debut album, “ A Fever You Can't Sweat Out” in particular the second single, "I Write Sins Not Tragedies” which earned the album double Platinum certification from the RIAA, Panic! At The Disco fast became synonymous with the pop punk scene of the 2000s. Over the years, the band saw several lineup changes and diversifying in sound, with frontman Brendon Urie eventually becoming the band’s sole official member. Get ready to hear all the new material live – grab your Panic! At The Disco tickets today! !